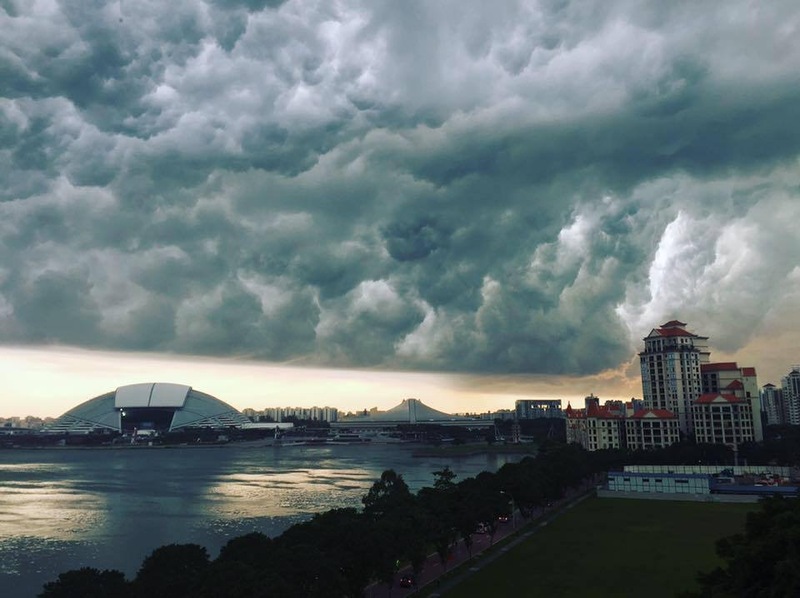 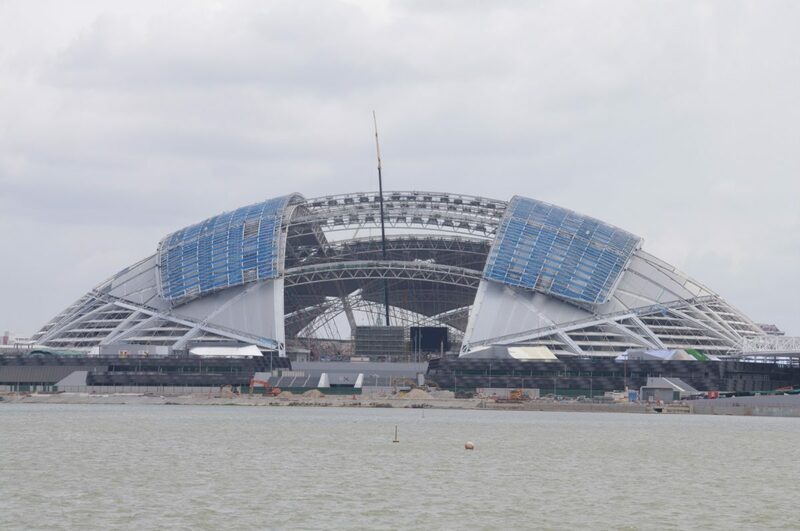 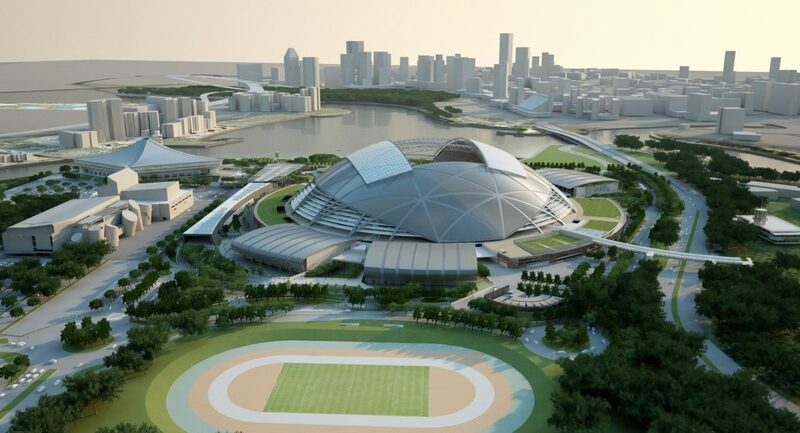 The Singapore Sports Hub is a world-class, integrated sports, entertainment, and lifestyle hub delivering world-class sporting and entertainment events. 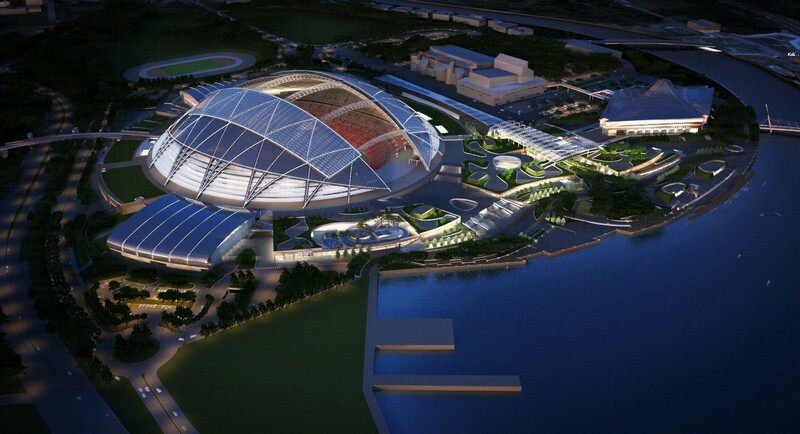 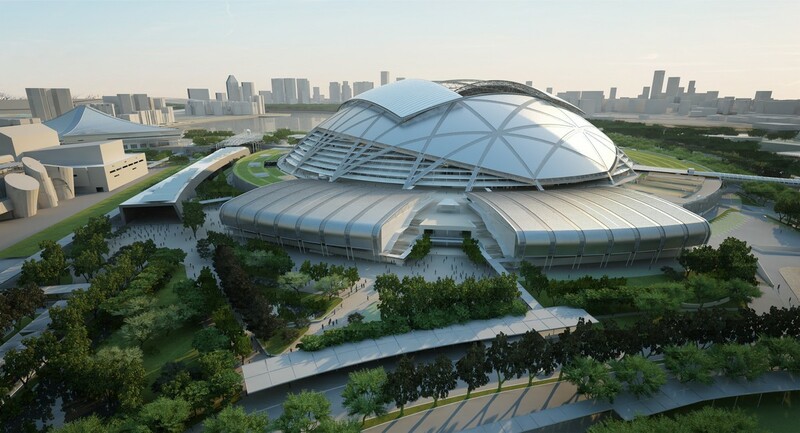 Established under a 25-year Public-Private Partnership agreement between Sport Singapore and SportsHub Pte Ltd, this visionary project is one of the largest sporting infrastructure projects in the world today. 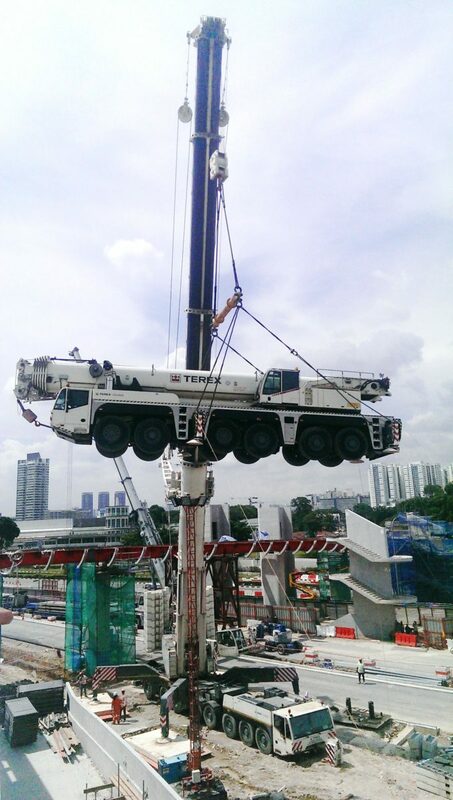 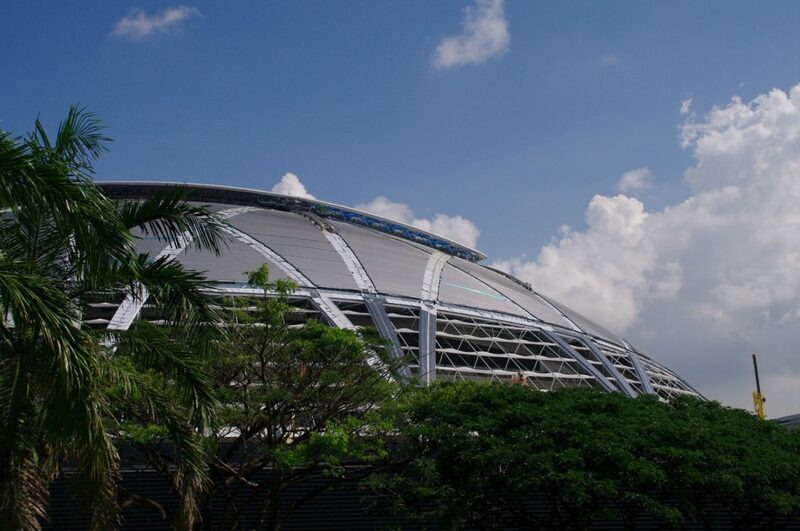 It is built to deliver a sustainable, differentiated and competitive advantage for Singapore. 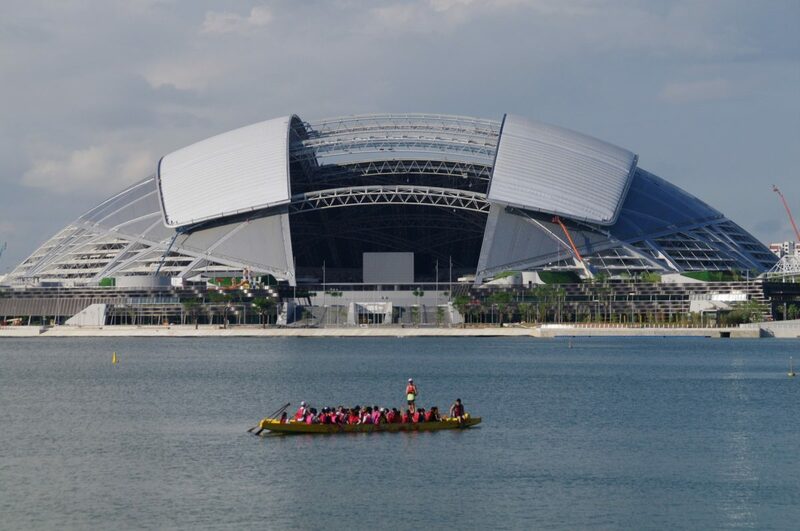 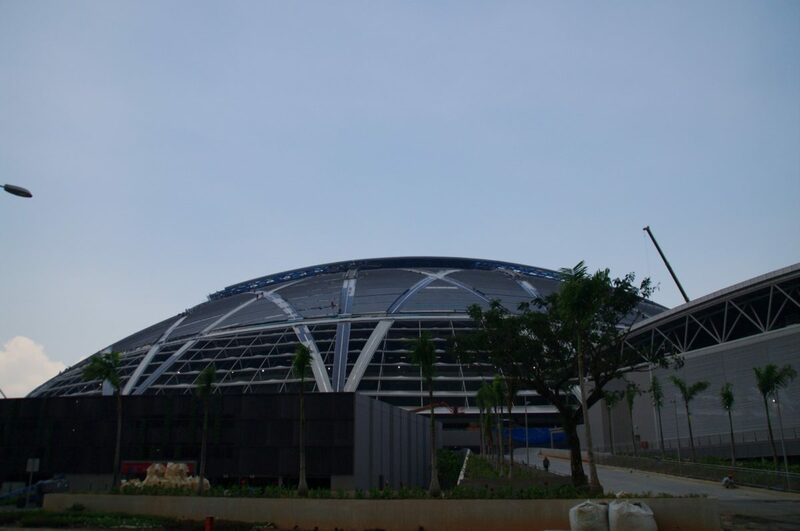 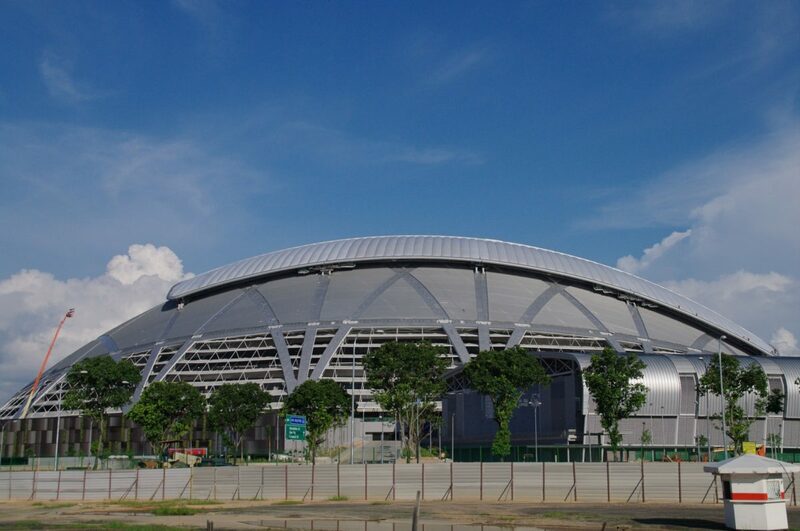 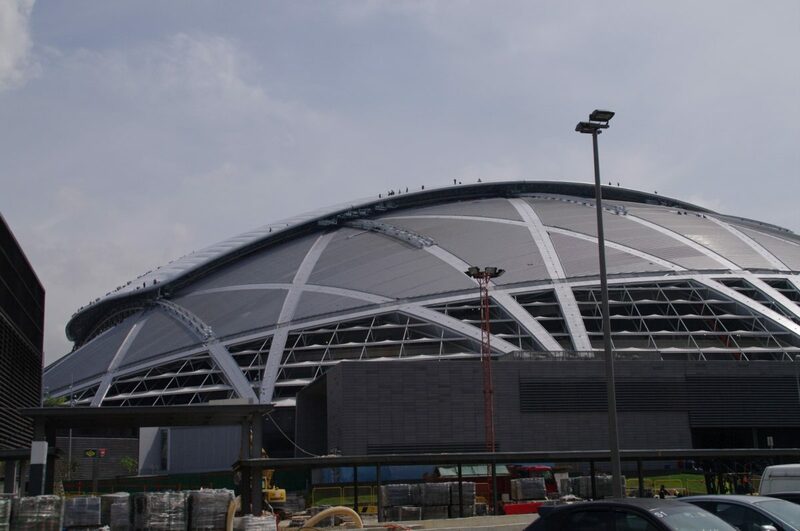 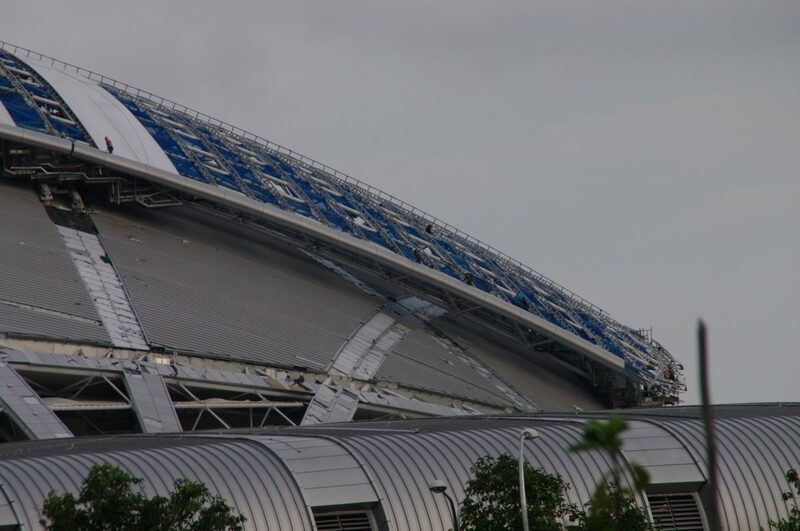 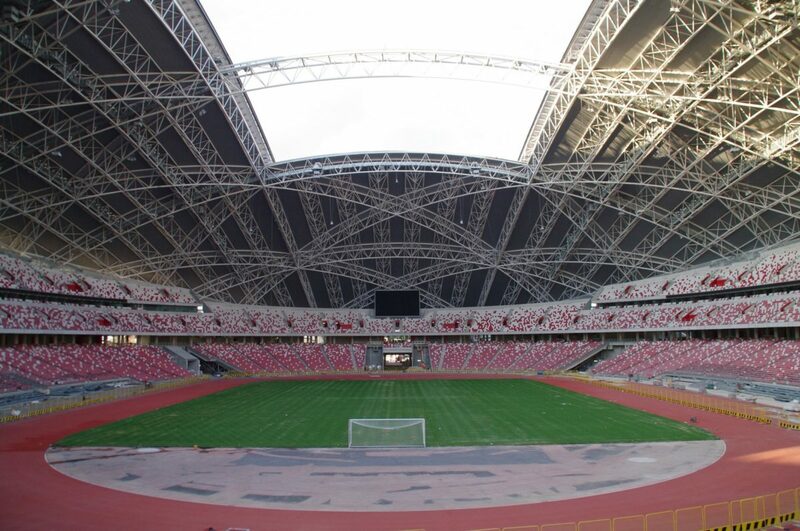 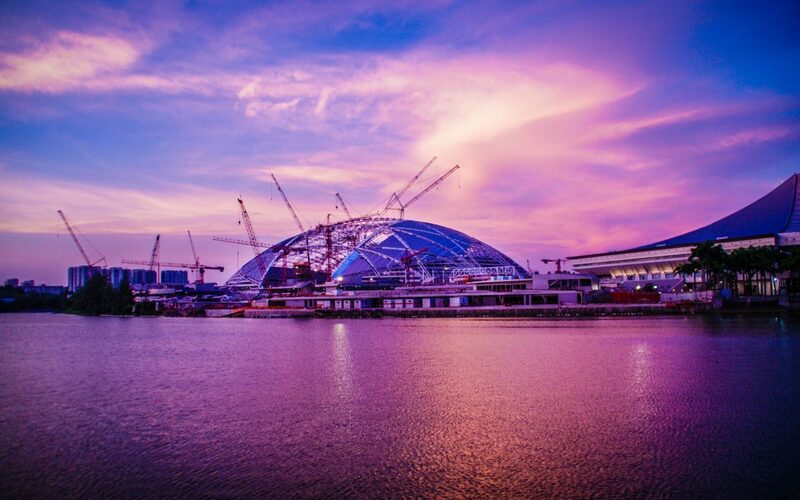 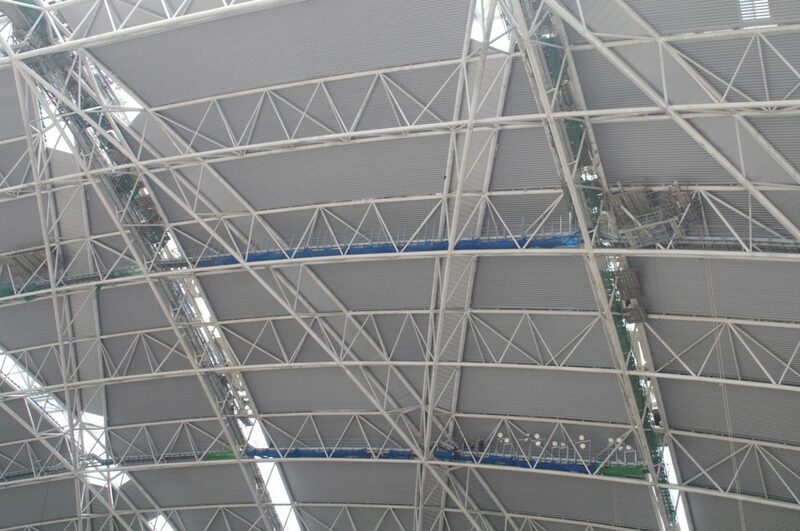 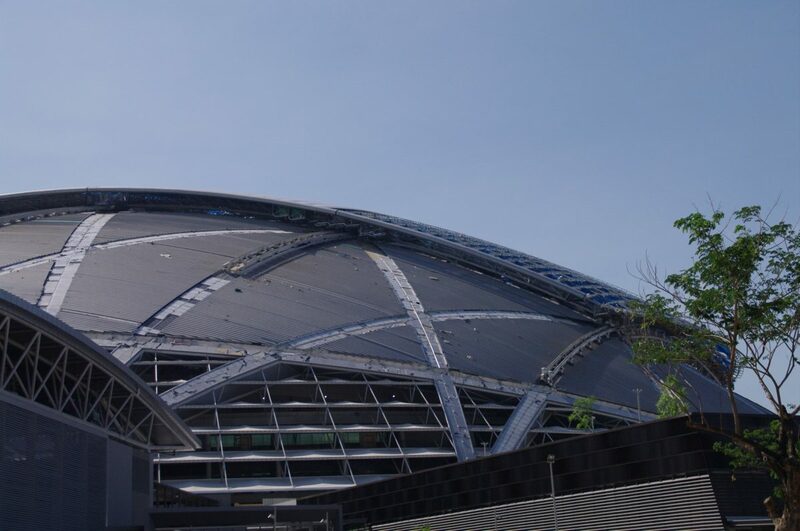 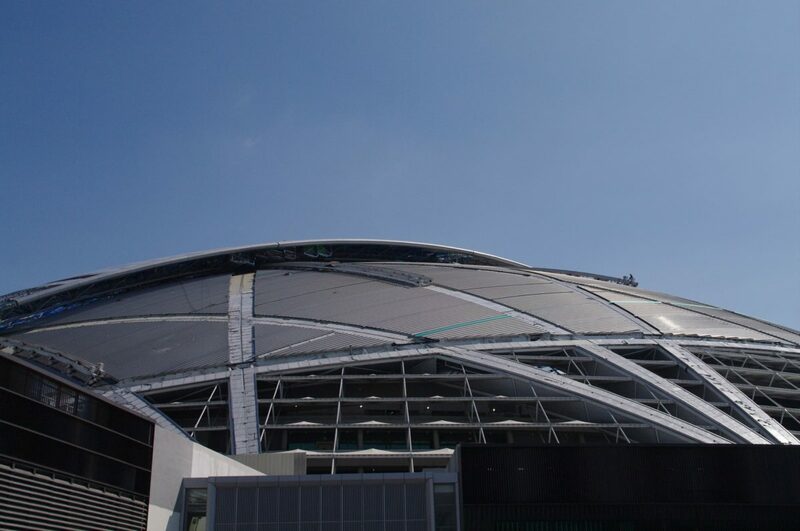 Our teams in Singapore and Hong Kong provided the design development and engineering, supply and installation services for the National Stadium, Aquatic Centre and the Multi-Purpose Indoor Arenas. 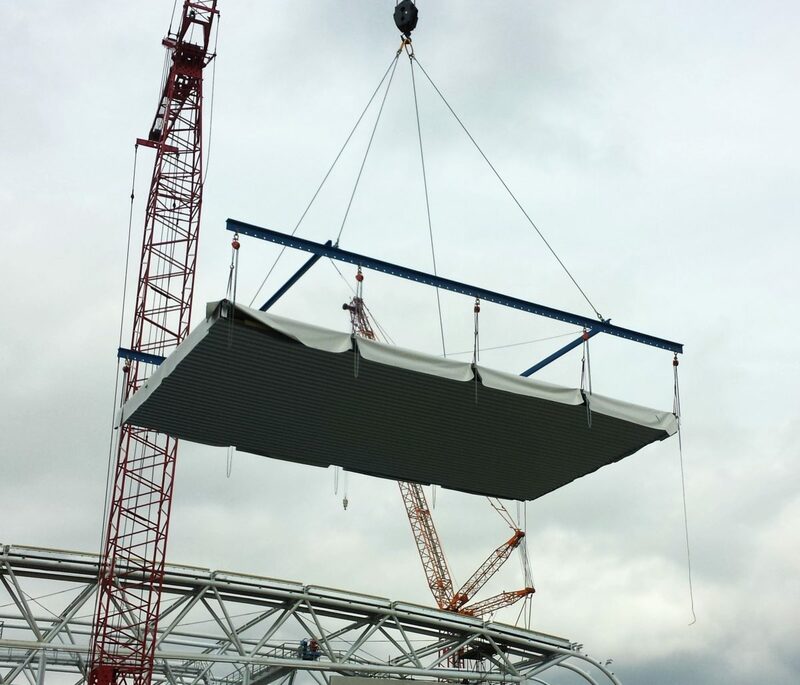 utilizing a conventional in-situ buildup. 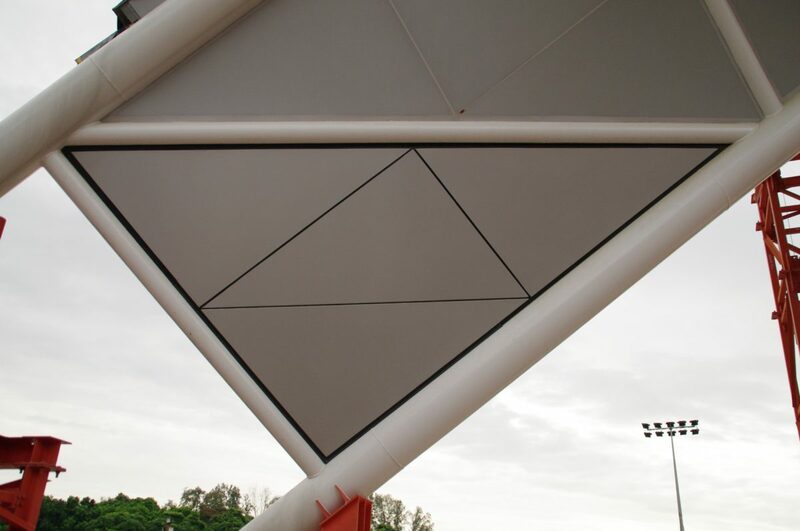 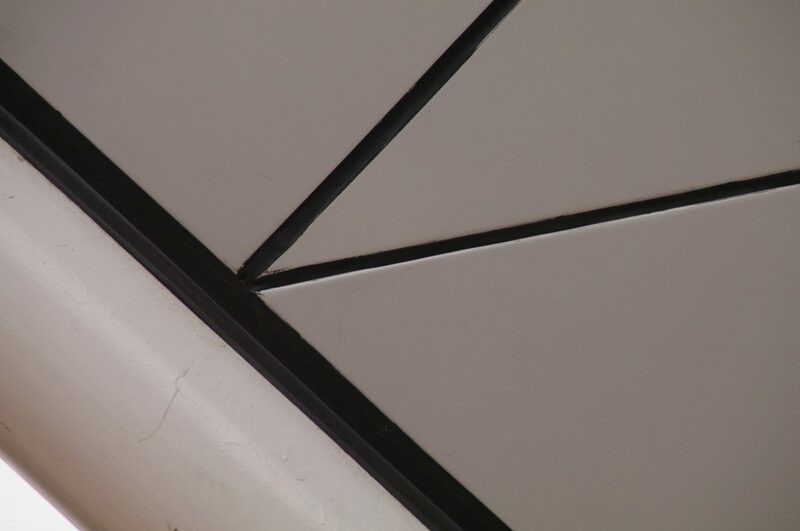 Our design team simplified the bolting connection design to the primary steel cleats at roof level which helped to minimize the use of workers requiring specialist rope access to infill the strips between the roof units. 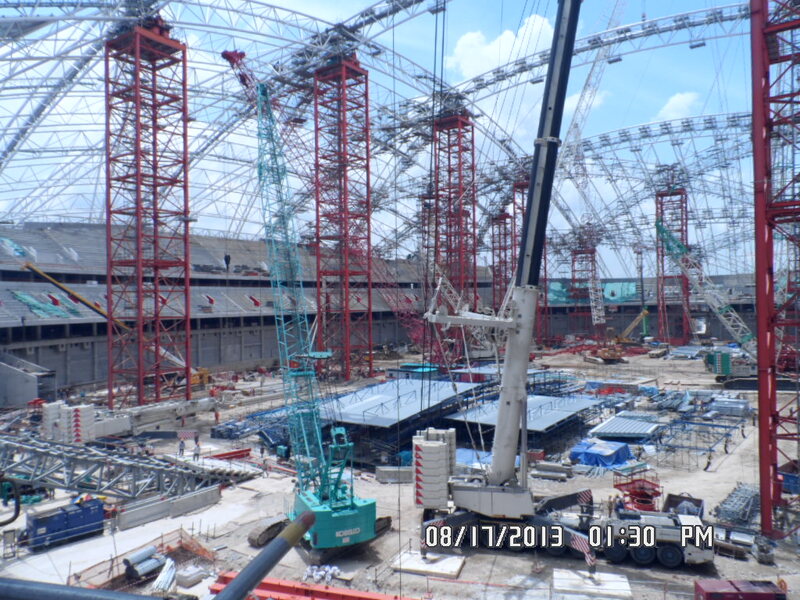 Our surveying team was able to complete a thorough 3D-scan from ground level of all of the as built cleats, i.e. 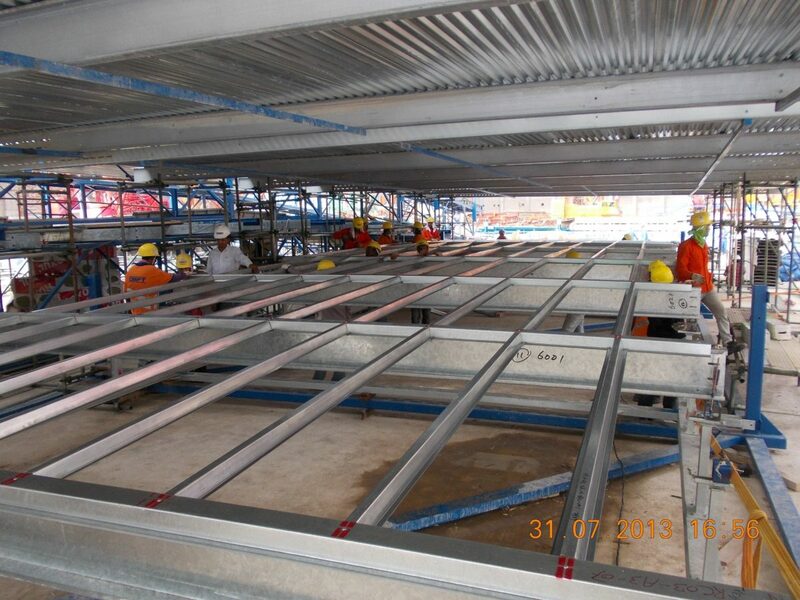 the supporting brackets receiving the prefabricated units. 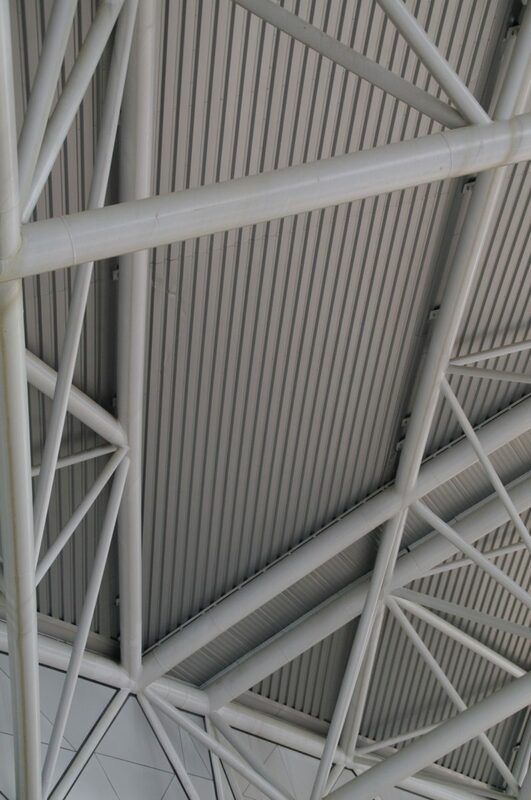 This was extremely helpful as the analysis of the scan identified potential installation issues and allowed the project team to make rectifications at ground level reducing the need for tricky alterations at height. 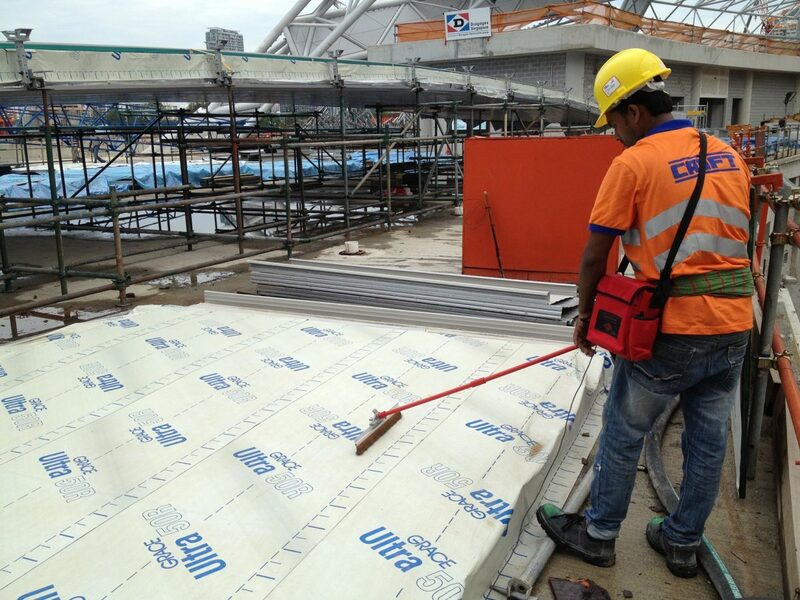 The 3D scan proved to reduce safety risk and also saved time on the overall programme of works. 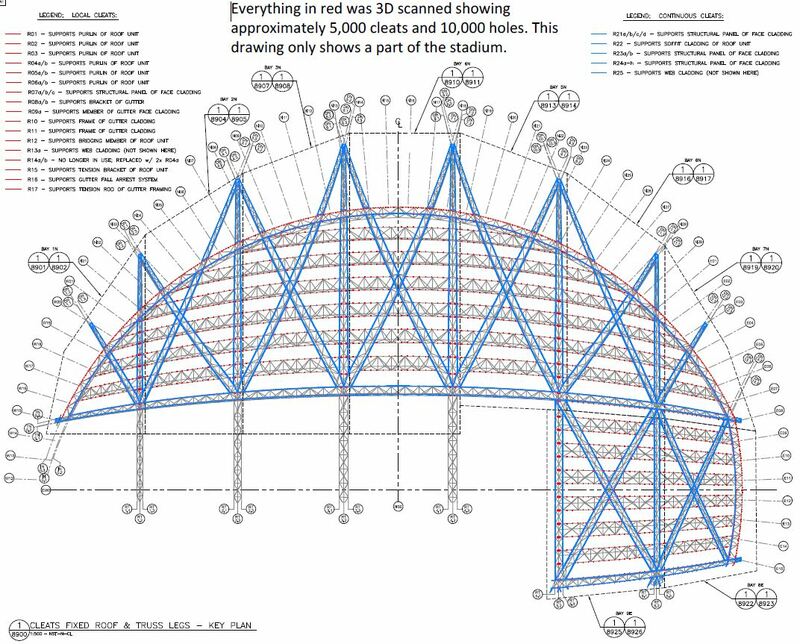 More than 5,000 cleats and 10,000 holes were 3D scanned from the ground!